1 box chocolate cake mix + the ingredients on the back of the box. Prepare the cake according to the directions on the box. 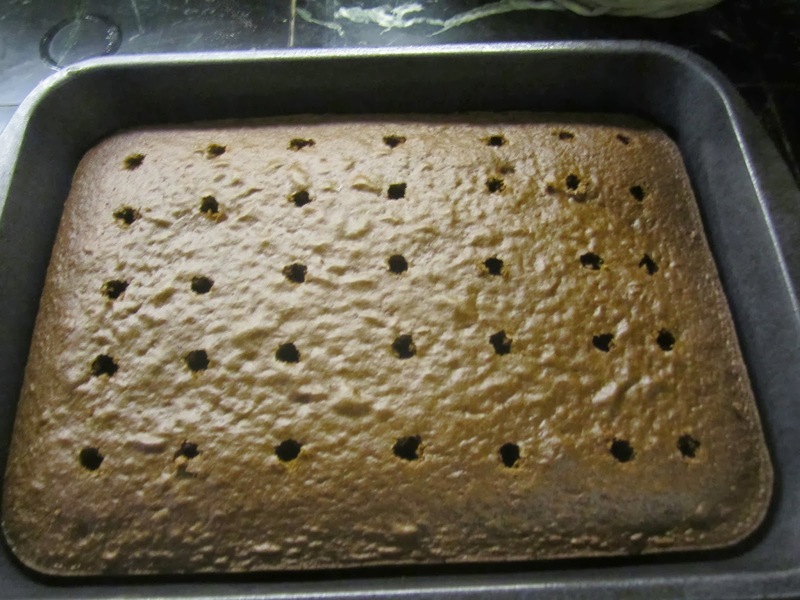 Once the cake is completely cooled, use a wooden spoon to poke holes evenly throughout the cake, making about 25-30 holes. 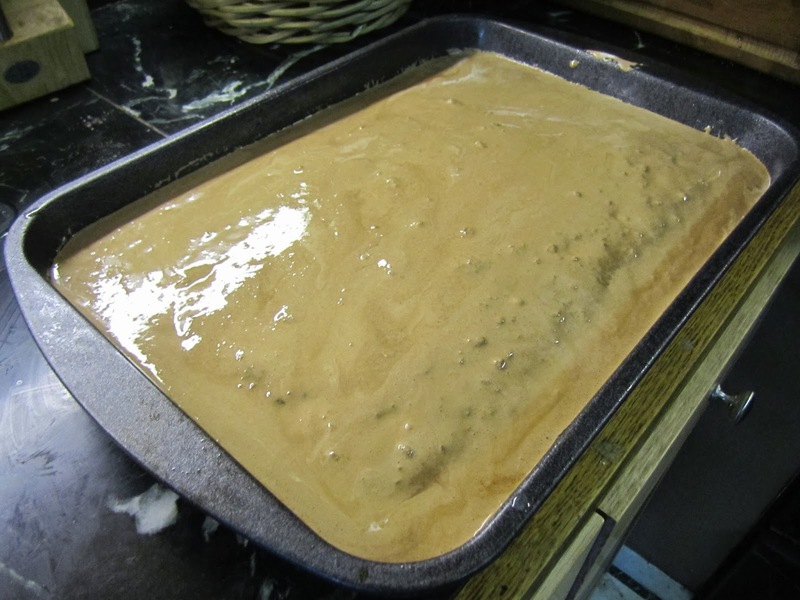 Pour the sweetened condensed milk evenly over the cake, trying to fill up the holes. Combine the hot fudge topping, the marshmallow fluff, and the crushed graham crackers in a medium sized bowl. Microwave the combined toppings for 15 seconds or until melted together and warm. 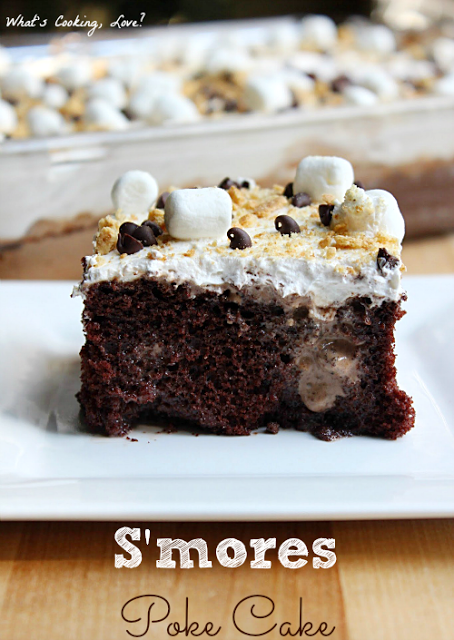 Spread the marshmallow fluff and hot fudge topping on top of the cake, trying to get some in the holes. Then spread the Cool Whip on top. Refrigerate for at least 4 hours or overnight. When ready to serve if desired, sprinkle the mini chocolate chips, mini marshmallows, and crushed graham crackers on top. This makes about 12 large pieces. This is what it looked like before the toppings went on.